There’s no place like home, that’s for sure. And oh my goodness, so far my week back home in Mississippi County has been so much fun and a whirlwind of activity. I was invited to speak at the Osceola Rotary Club on Tuesday and they fed me very well. They made me promise to return each time I publish a book, so I best get busy with my next one. Books = Rotary Spaghetti with a side of homemade blackberry cobbler, and that’s a yummy thing. I met lots of people and saw a few folks I hadn’t seen in years, like my high school guidance counselor, Mr. Rogers Ford. 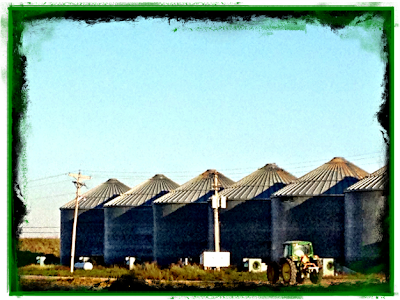 Fall in the part of the Delta where I grew up meant harvest, football and countdown to the Keiser Halloween Carnival. Friends, it was THE big event in our little town. I’ve written about my reign as Halloween Queen HERE if you’d like to get background information. The thing to know for purposes of this post is that the PTA mothers raised money for the school primarily so their kid and class representative could wear the coveted cardboard glittery crown. Way back in Nineteen Hundred and Sixty-Nine (gasp), the year I was nominated Queen of the second grade class, our most successful fundraiser was the Keiser cookbook, aptly named Keiser’s Kitchen. This cookbook belongs in a museum showcasing middle twentieth century PTA Mom handiwork. What a labor intensive project compared to today’s technology. Our copy of Keiser’s Kitchen is priceless. During the upcoming fall weeks, I plan to recreate these dishes as presented (along with maybe a little story about the Keiser mom who originally submitted the recipe). There are over thirty recipes, so I won’t do all of them because really, how many Jell-o salads does one need? But I plan to make lots of them. I think we need to remember these recipes, taste this simple, basic food lovingly made by our mothers who saw to it that we gathered around the supper table every night for a family meal. I’ll warn you now, there will be no salted caramel frosting or balsamic anything. But sometimes maybe that’s what we need.